This is a summary of an #ELTchat which took place on 8 November 2017 on Twitter. It is my 12th such summary – the rest can be found via a link at the top of this page. @angelos_bollas set up the topic and moderated the hour long discussion, assisted by @Hada_ELT, who took over towards the end. Although the topic was ‘the ideal staffroom’ many chatters reflected and shared the kinds of staffrooms they currently use or have recently experienced. Some suggestions were made as to what makes a conducive environment to work in but given that there is often little choice for teachers the chat tended towards discussing things that they have to tolerate and how they create their own personal working space. It was also the first #ELTchat to take place after the introduction of the new 280 character ‘limit’. @angelos_bollas pointed out that not every school, or workplace for that matter, has a staffroom. @MoreMsJackson suggested resources was a good place to start and @angelos_bollas asked what kind of resources are needed. Books were suggested. For @teacherphili, the books required depends on whether you are teaching a fairly prescribed syllabus or you have to find your own materials. For @11thhourspecial (Marc Jones) an ELT library with some Applied Linguistics books was ideal. Rotate stock, too – otherwise people will just read the same stuff over and over, he added. @fionaljp said that ideally there would be a regular supply of freebie new course books from publishers. @angelos_bollas liked the idea of having photocopiable materials in the staffroom. The whole library is in @Hada_ELT’s current staffroom – teachers’ shelves as well as resources like a guillotine, paper. @GlenysHanson had hanging files of worksheets, exercises, etc. Things lots of her colleagues used. These were either copied out of books or made by ourselves and were very useful when rushing into class. @Hada_ELT used to have these also but they were removed because of reasons of space. @MoreMsJackson thought it depends how many different courses your centre or school has. The only places she has worked with physical files was a manageable centre with only young learners, maybe 15 different levels total and a summer school for teens so only 9 or 10 levels. @GlenysHanson wondered if we were talking about the interior decoration or people. Garish colour schemes or anything that could give you a headache were off limits according to @teacherphili. @fionaljp stated she would like the walls painted with IdeaPaint. It’s a special paint that makes walls just like whiteboards so you can write all over them and erase! Good wifi and reliable IT support was suggested by @fionaljp, and others agreed, although @eltplanning said there was no wifi in his staffroom. Access to coffee, biscuits and bottles of water also seemed important for many. @GlenysHanson, for example, stated that they have access to a real coffee machine as well as a microwave. She added that talking to colleagues was the most useful resource she found in the teachers’ room! @MoreMsJackson agreed, saying that discussing problems with other teachers is an important part of an ideal staffroom, something which chatters returned to later. @Hada_ELT ideally wants a place to unwind, but her current staffroom is packed with desks and shelves and there is no room to stretch your legs. She also asked how chatters felt about loud conversations between colleagues – who sometimes just need to unwind – while you’re trying to meet a deadline? @Marisa_C stated that they have a library which is our quiet space when things get too noisy – thinking of a nice comfy couch for that room actually!! Headphones are an essential staffroom item for @MoreMsJackson and @ITLegge, who works in a ‘crazy noisy open-plan’ office. @seburnt added he just puts in earphones or goes somewhere quiet. @GlenysHanson stated that when she needed a quiet place, she went to the ‘mediacentre’. This feature is found in universities rather than language schools. It was generally agreed that in universities there more options and quieter places to work. A solid, reliable photocopier was raised by many. @fionaljp needs one that never breaks down. @MoreMsJackson stated that she had worked in quite a few places with (access to) more than one photocopier. It’s handy to be able to run to another when one is jammed/broken and you’re in a rush. @KateLloyd05 said that having two in their staffroom was excellent, they even have names. @teacherphili lamented last minute photocopying and the lack of toner, toner, toner – or reducing TTT as @Hada_ELT joked. @naomishema asked if we photocopied tests on our own. @KateLloyd05‘s tests are sent to the university printing service and prepared for teachers. Ideally a space away from students was key for many including @Hada_ELT. @teacherphili asked if a staffroom should be a place where only the teachers can go, a space that is out of bounds to students? Ideally, answered @angelos_bollas, although in some situations the students are allowed in. @Hada_ELT agreed with having the privacy and being able to remove oneself from the teaching area. . When @teacherphili started out in Korea little kids would be running around his desk … no separation between class and staffroom. @Hada_ELT said that when she was a school teacher, she used to let the kids into the staffroom, but they knew to be on their best behaviour – which was OK.
@teacherphili‘s summer pre-sessional staffroom was an important place where he could plan, mark and generally not have students around… It had a huge number of PCs (2 per teacher if needed). It was, however, ‘room 101’. He didn’t like the staffroom assigned to full-time employees as it involved ‘hot-desking.’ Another pre-sessional tutor @ShannonThwaites didn’t have a staff room in the summer. They took over a computer room but other staff and students still used it. Towards the end, @Hada_ELT asked participants to describe their ideal staffroom in less than 10 words, which continued into the ‘slowburn’.. This was a friendly, lively chat with not many disagreements or controversies. While many teachers have their own particular requirements of a staffroom, many seemed to make the most of what they had, even if some wished for more nespresso, space, working photocopiers and general peace away from the students. Chatters spoke of what they had rather than what would ideally like although Hada’s final question – to summarise in less than 10 words – was a useful way to end. Furthermore, in respect of ‘words limits’ – this was also the very first ELTchat which was able to take advantage of the new 280 character ‘limit’ on Twitter. The general snapshot verdict was that this helped rather hindered the chat. I had posted a poll (see below) on this issue on Twitter and also raised it on the #ELTchat Facebook group the previous month. Opinion was broadly split. Some felt it would take too long to read participants’ comments. In practice, however, chatters seemed to have more freedom to express themselves without having to use acronyms, abbreviations or editing a overlong draft. It didn’t seem to slow things down. Having the option for longer tweets doesn’t mean that everyone will do so, of course, but the choice is there. It certainly made writing the summary easier as I was able to understand what people wrote rather than trying to work out meaning from an abbreviated or short-hand tweet. I like the change! 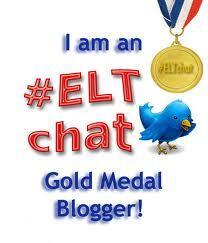 This entry was tagged #ELTchat, staffroom, teaching. Bookmark the permalink.